"Samaritans" emerged in 1998 with the main mission to work for full inclusion in society of disadvantaged children, youth and families in the municipality of Stara Zagora. By 2007 the association has realized more than 35 projects and initiatives of public importance to support vulnerable children and families. 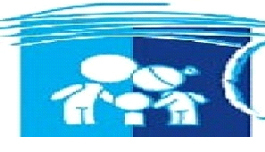 The association operates a center for social and educational support to vulnerable groups of children, crisis center "Samaritan House" and complex for social services. Activity of the social enterprise is involved in manufacturing and marketing of apiculture products and beekeeping equipment and technology, and began operating in 2003.The main purpose of its creation is to develop economic opportunities and skills of the organization to generate revenue from the production and marketing of honey, other bee products, beekeeping equipment and technology to ensure the financing of social services provided by the organization. The main activity of the social enterprise is to promote beekeeping, products, technology and science achievements among the general public and to meet the professional and business interests of producers, processors and traders. Besides producing social enterprise develops business through its own store. Another new trend is that the Association "Samaritans" is the official representative of the Danish company "Swienty", which is one of the world's leading manufacturers of high quality beekeeping. Association "Samaritans" managed "Eurocenter for modern beekeeping and technology", where year-round offer specialist advice and training for beginner beekeepers and young people wishing to engage in professional beekeeping. The revenue of the Social Enterprise Association "Samaritans" help to secure social services for children, young people and disadvantaged families in the Center for Social and educational support. Because of this social enterprise customers can not only enjoy the different goods and products, but also support the social cause of the organization.